ROBBIE Gray won three straight best and fairest awards as a midfielder and an occasional pinch-hitting forward. Such was his dominance as an on-baller, there was no need to break what wasn't broken. He may still have temperamental groins, but it didn't matter in Saturday's 31-point win over Collingwood at the MCG. Gray booted five goals for the game and was utterly awesome in the first half, kicking four of Port's six majors. Weak groins limited the 29-year-old to just one JLT series pre-season game this year and with minimal kilometres under his belt, Ken Hinkley made the call to ease his star player back in via the forward line. Gray looked out of sorts in Round 1 against Sydney. And although the Power won, he managed just eight disposals and was held goalless. Fast forward three months and he is the club's full-forward and a supremely dangerous one at that. Standing at 183cm, he is more Brad Johnson than Brendan Fevola, not that it particularly matters. One of the beauties of our game is that anyone of any size can play 17 of the 18 positions on the field. And as Nathan Buckley discovered on Saturday, often the most difficult players to match up on are the smalls who can play tall. Gray is everything Collingwood lacks without Jamie Elliott and it showed. When he injured himself early in the year, Melbourne's Max Gawn called himself 'the difference' as the club struggled for wins. Then when Jordan Lewis was suspended, he was the self-described 'difference'. And in the first half against the Magpies on Saturday, Gray was truly just that. 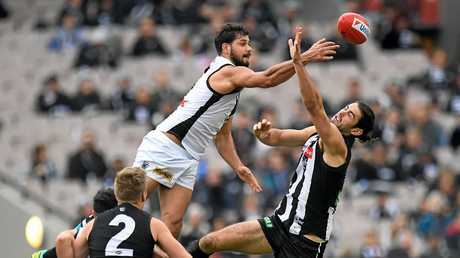 No opponent - whether it was Tom Langdon, Tyson Goldsack or Brayden Maynard - was able to nullify him. He was best afield when the game was at its hottest. "He's pretty special, Robbie. Every time the ball went to him he kicked a goal," Port Adelaide's Ollie Wines told Fox Footy post-game. "It's enormous to see him up and running and in good form, hopefully he can stay like that for the rest of the year." The Power dominated the first term but it didn't quite reflect on the scoreboard, despite amassing 10 scoring shots to two. Gray took all three marks inside their forward 50, booted two goals and had a goal assist. In the second term, he added two majors and a further score assist. "One man is the difference here at half-time," former Richmond and Western Bulldogs sharpshooter Nathan Brown, who was a similarly crafty player to Gray, said on Triple M.
"What Robbie Gray does really well is lateral movement. It's easy to defend forwards who run straight up the ground, but hard to stop them if they are running all over the place." Gray the midfielder would often rack up huge numbers regardless of how his team was faring. But between the end of Port's disappointing 2016 campaign and the start of its 2017 season, two things happened. Firstly, Jay Schulz retired. Then Gray's groins started to play up, meaning his workload over the summer was reduced. Both occurrences meant coach Ken Hinkley had no choice but to play him forward. 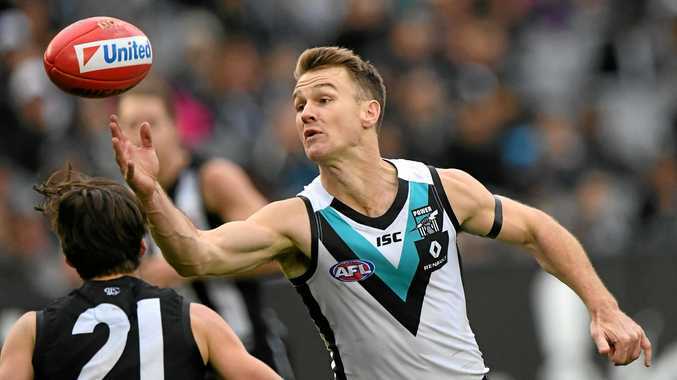 Only Hinkley knows if he intended the move to be permanent or temporary, but Gray's form - in conjunction with the improvement of others such as Ollie Wines, Sam Powell-Pepper and Brad Ebert - has allowed the coach to keep the status quo. It's a luxury. Six majors against Fremantle, five against Carlton, four against Brisbane and hauls of three versus Essendon and Geelong have justified the decision. Gray's efforts have been a key reason why Port Adelaide is the second most prolific scoring team in the AFL this year. "(I'm) feeling really good, a different role up forward," Gray told Fox Footy post-game. "It was probably a plan over the summer, Chaddy (Wingard) going into the midfield a little bit more and we've got young Sam Powell-Pepper in as well. So a couple more guys there and they're doing a fantastic job, which has allowed me to play forward a little bit more." And it's not as if he's been badly missed in the midfield either, something that would have seemed inconceivable last year had he spent 90 per cent of each match forward. The Power is the number one ranked team for scores from centre clearances, a statistic that has benefited Gray enormously. "He gave us a bit of everything, Robbie," Geelong and North Melbourne great Cameron Mooney said on Fox Footy. "There were marks on the lead, a checkside snap for goal, play on - he's done it all. 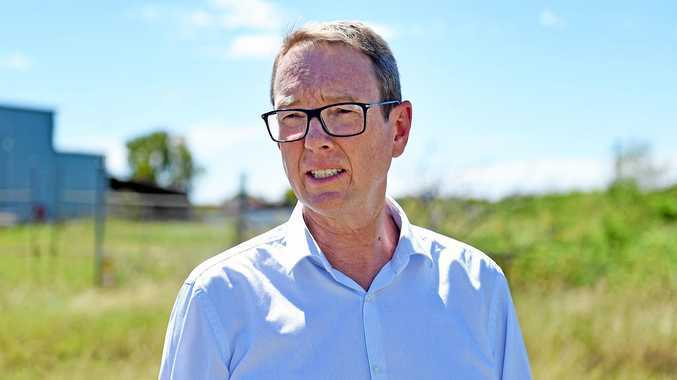 He's been an absolute master in what he's doing today." In the wash-up, Gray wasn't the only reason Port Adelaide prevailed. But boy did he play a critical part. Wouldn't it be a treat to see him do his thing in September?